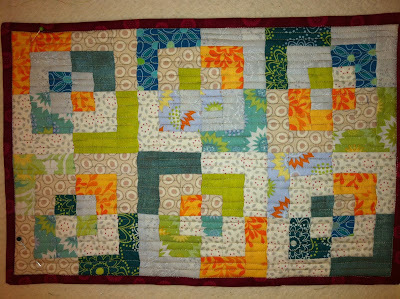 On Saturday I returned home from my father-in-law's wedding to the package I was anxious to receive, my DQS 11 quilt. 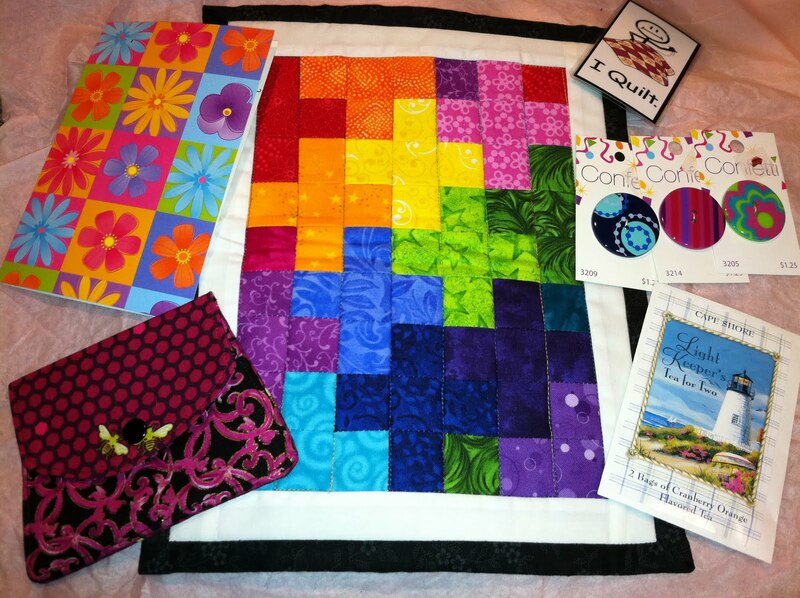 I opened up my package to find a cute quilt by Quiltinkimmie, a swap mama in the group. I love rainbow quilts right now but have never made one. 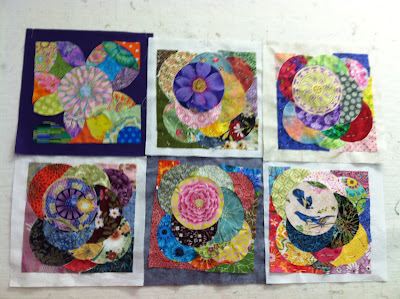 I just might have to add one to my ever growing list of quilts to make. 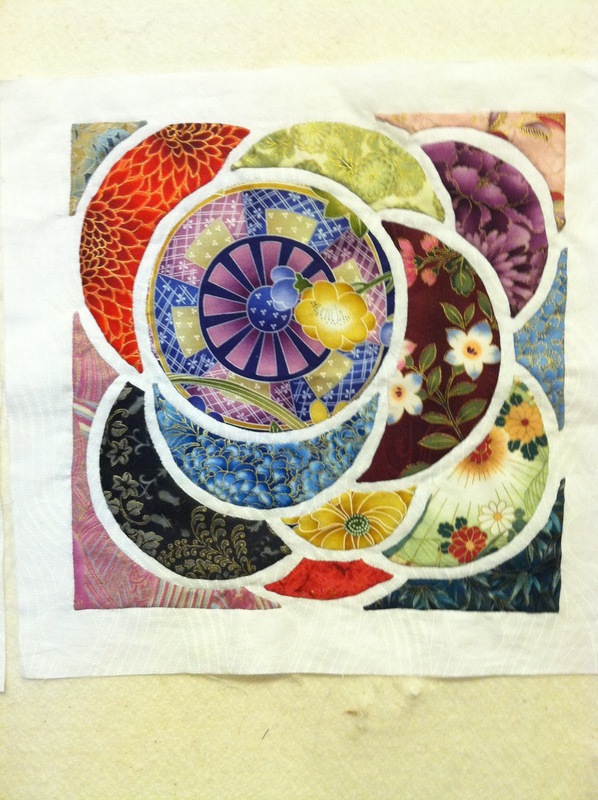 A few weeks ago I posted about how my quilt was juried into the Lowell Quilt Festival. 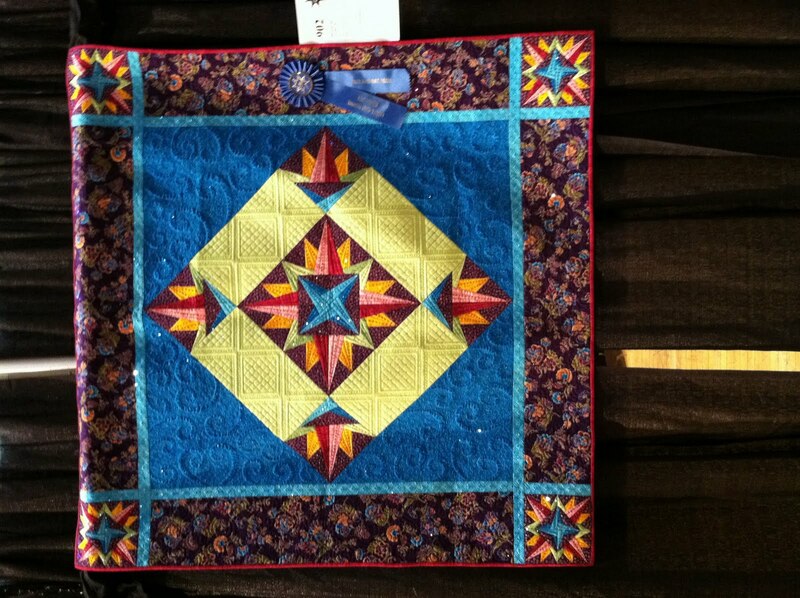 Well, I'm pleased to share that my quilt won first place in the wall quilt - pieced category. I can't seem to rotate it, since I'm uploading from my phone. Hurricane Irene has left us without power or internet for the past 24 hours and I've been told by the electric company that it could be up to another five days before we get it back. Here's hoping that it isn't that long. Keep your fingers crossed for us and everyone else still without power. Anyway, once I can get the photos off my camera and uploaded once we get power and internet back, I'll share more photos. 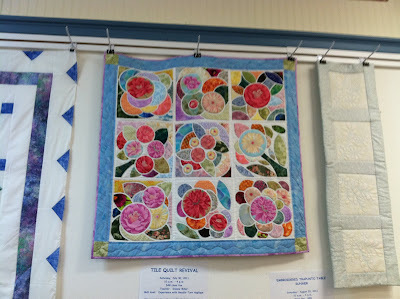 Today marks the opening of the Lowell Quilt Festival 2011. 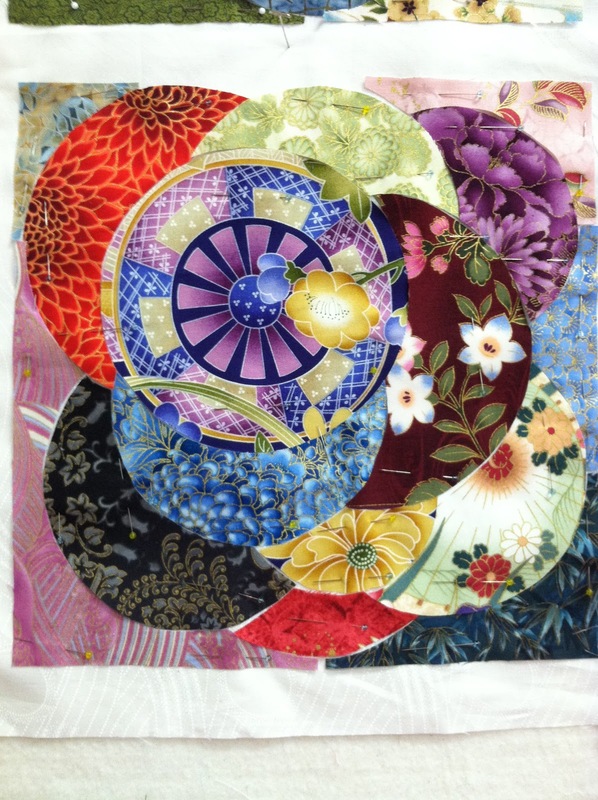 As you know, I submitted my quilt, Moonlit Sky to the show and it was accepted. 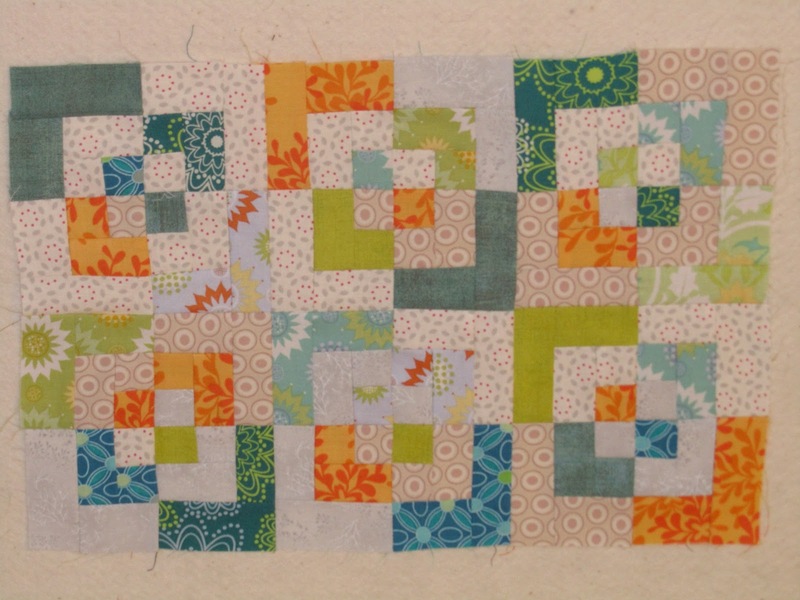 I decided to submit it for fun and to share a quilt that I absolutely love. I wasn't entering it into the show with the expectation that I would win anything, especially since I've never entered a juried quilt show before. I'm planning on heading over to the show tomorrow afternoon. 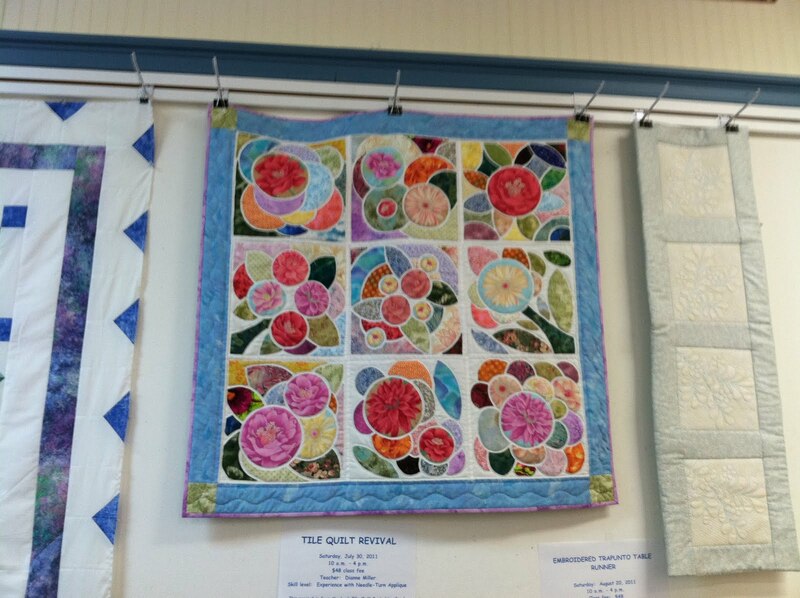 I'm going to take a half day and go with my mom and my aunt to see my quilt hanging there next to so many fantastic quilts. 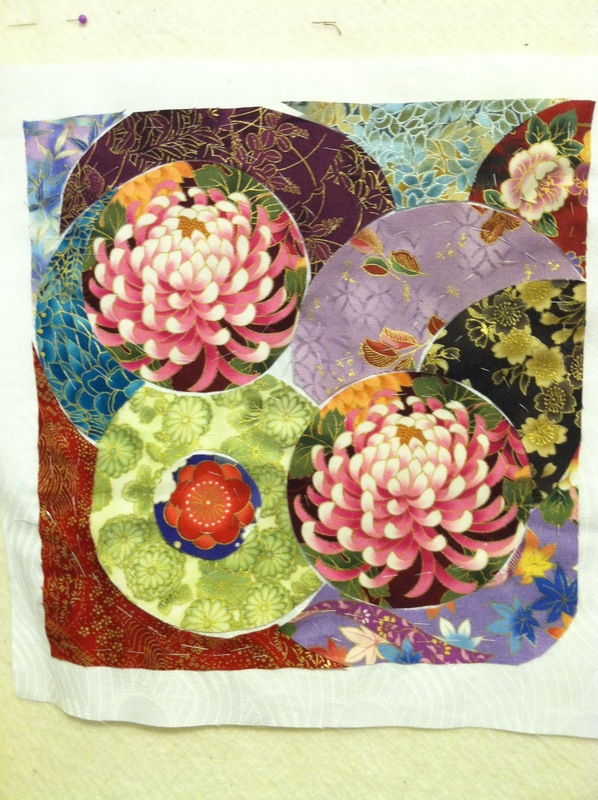 If you're visiting, check out my quilt, and if you think it's awesome, vote for it for people's choice! Honestly, vote for the one that you like the best, I just hope it's mine. I have a list of winners already, even though the show hasn't opened, and there are some very talented quilters being showcased at the show. I finished prepping my next tile quilt block last night. I tried to incorporate a few of the same fabrics from the previous block to tie it together while introducing some new fabrics as well. If I complete the entire quilt there will be nine blocks total. We'll see how many I do. It might take me a little while to do all nine blocks if I do decide to go that route. It's all basted, which you can see on some of the pieces, and ready to go in my carry on for my trip. 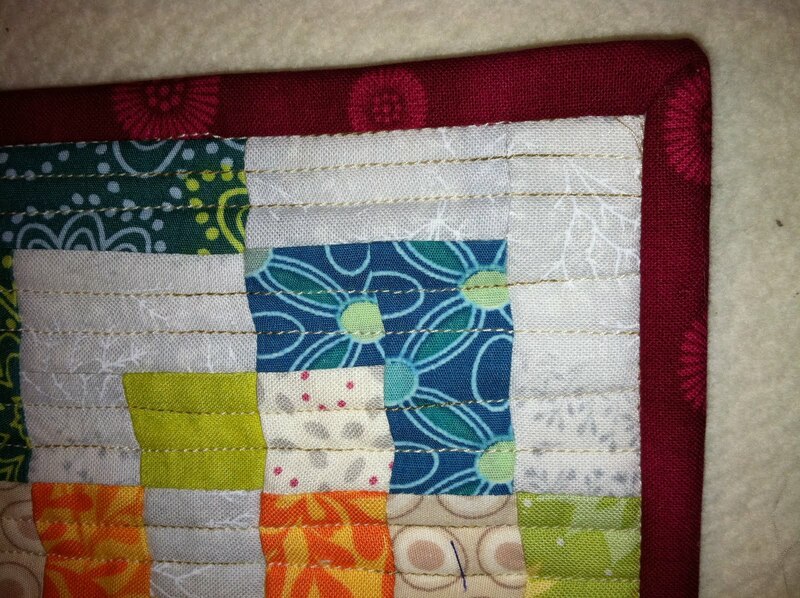 I don't know if I'll have time to prep another one since I need to focus on finishing up my DQS quilt. This weekend I finished the first tile quilt block that I started at my class the weekend before. I really like how it turned out. 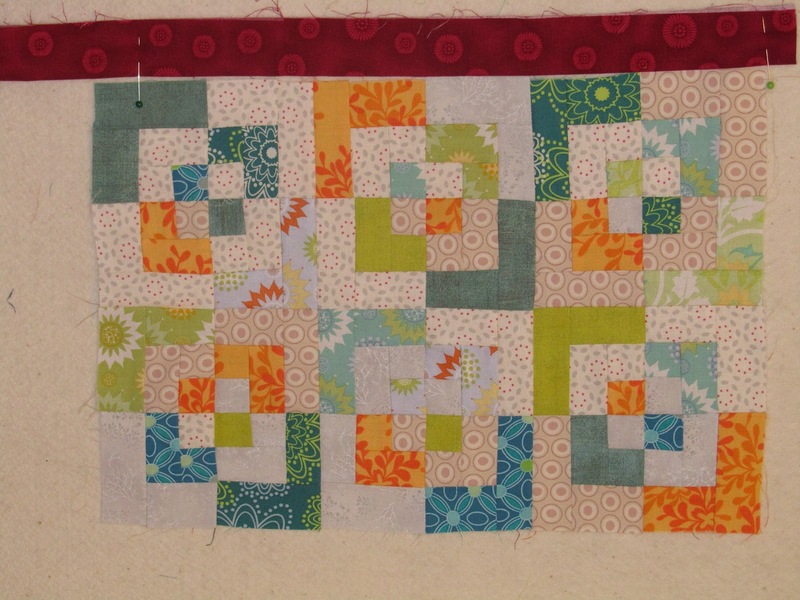 I think this is going to be a cute quilt. I think I'm going to try and prep a few blocks to take with me on my upcoming trip to Paris. I think this would be a good activity to do on a plane. 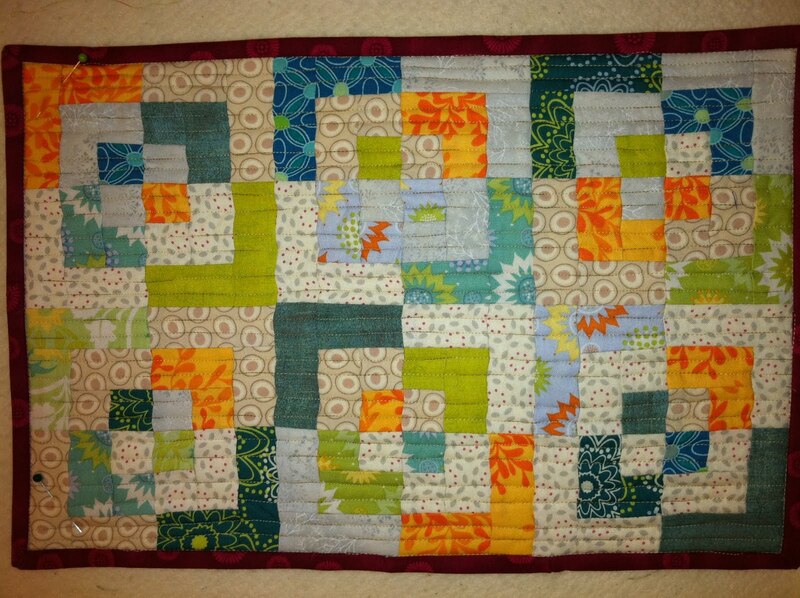 Last night I finished the top for the Doll Quilt Swap. 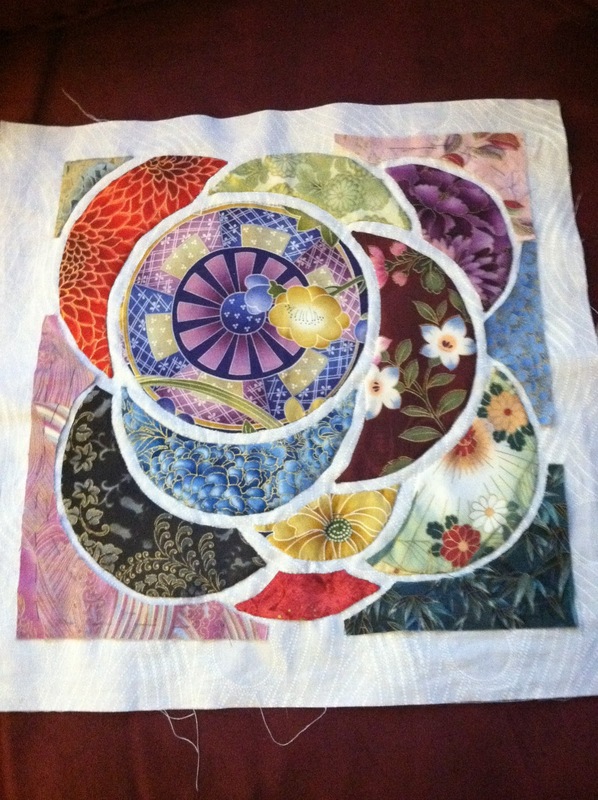 Now to quilt and bind it. I had the leftover binding from my Moonlit Sky quilt still out, so I put it up to this quilt and I really liked how it looks. What do you think? 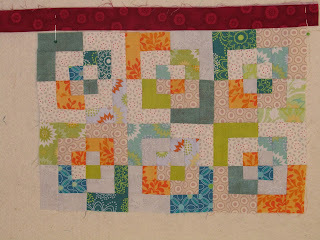 My other option would be to go with the orange or one of the light fabrics.